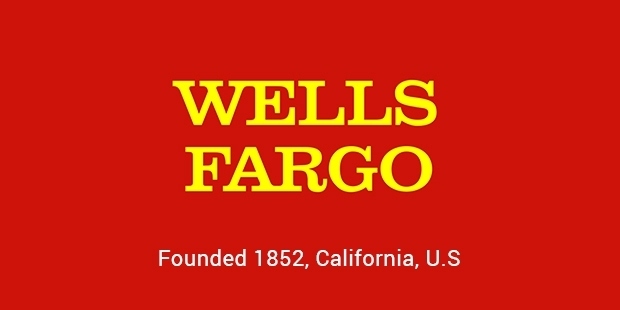 Based in United States, Wells Fargo is one of the largest financial services and multi-national banking services providers in the country, both in terms of assets and market capitalization. The Wells Fargo that you know today is a merger between Norwest Corporation and Wells Fargo in 1998, and acquisition of Wachovia in 2008. Wells Fargo has been operational in 35 countries across the globe, with more than 70 million individual and business customers. They have over 9000 bank branches and 12000 ATM machines in the US and the Columbia district. The company has more than 2000 independent mortgage branches across the US, and 25% of home loans originate from here only. In 2012, the company reached around 30% of the US mortgage market share. These operations aim at lending, mutual funds, investment banking and treasury management services to middle and large scale companies in the market. Asset based lending is one of the most notable services of the company, under which they offer finance to large enterprises using inventory and receivables as collateral. Wells Fargo has so many investment products to offer, which they make available through their subsidiaries, such as the Wells Fargo Advisors LLC, Wells Fargo Investments LLC and a number of national dealer and broker firms. They offer mutual funds under the brand name of Wells Fargo Advantage Funds. In the year 1989, Wells Fargo started its PC based banking service, and became the first bank to launch online banking service in 1995. The company has contributed immensely towards environment as well. They have provided finance of over $6 billion towards environment-friendly business projects, including wind projects and solar photovoltaic projects across the US. They have also launched a blog with an aim to report their environment related stewardship, and receive ideas and feedback from their stakeholders. The company seldom had any participation in the investment banking sector, until it merged with Wachovia in 2008. CEO Stumpf says that since they have started their contribution in the investment banking sector, their number of competitors has reduced, and they have become a much bigger company on the national and international front. With cross-selling techniques, they make their clients dependable on them, so that they gain maximum profitability from the bank, and they rarely think about switching. They provided small business loans to more than 1900 companies within a few months from 2012 to 2013. They have also been providing private student loans to meet books, tuition, accommodation and computer expenses to undergraduate, graduate, law, medical and career schools. Wells Fargo is dedicated to providing banking services across the globe, with their main offices in London and Hong Kong. In 2011, they also announced to expand their practice in Asia, Latin America and Europe. They already have an office in Dubai, and are present in India too.